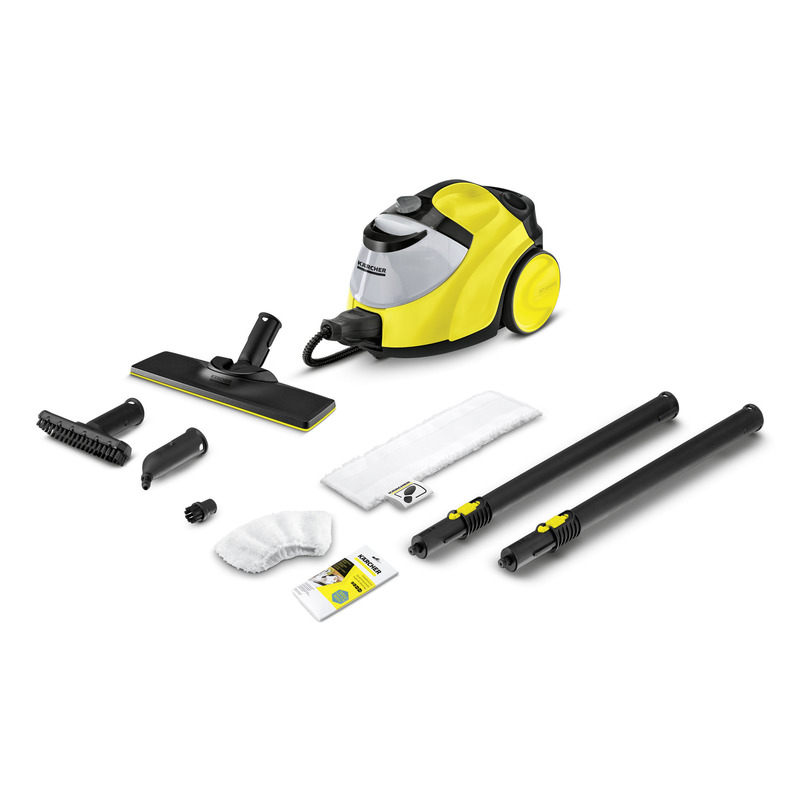 SC 5 EasyFix 15125320 https://www.kaercher.com/ie/home-garden/steam-cleaners/sc-5-easyfix-15125320.html Kärcher’s top of the range and most powerful steam cleaner provides 4.2 bar pressure to harness the dirt-shifting power of steam to kill 99.99% of bacteria*using nothing but tap water. Kärcher’s top of the range and most powerful steam cleaner provides 4.2 bar pressure to harness the dirt-shifting power of steam to kill 99.99% of bacteria*using nothing but tap water. The Kärcher SC 5 EasyFix is our top-of-the-range most powerful steam cleaner that harnesses the dirt-shifting power of steam to kill 99.99% of bacteria*, delivering amazing deep cleaning results using nothing but tap water, meaning its ideal for allergy sufferers. 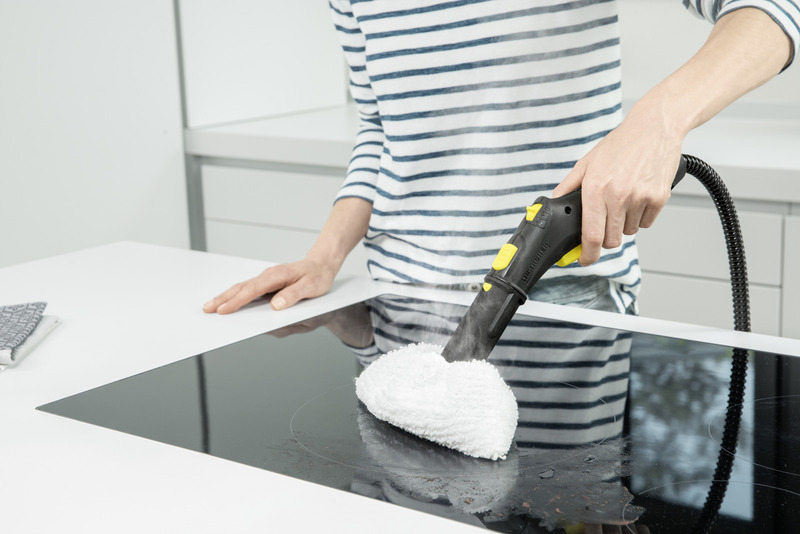 It includes all the attachments needed to make light work of removing grease from oven doors and hobs, everyday dirt from hard floors, stubborn stains from upholstery and carpets, and limescale and mould from tiles and taps, leaving your home effortlessly sparkling with no chemicals or scrubbing. The 1.5L removable water tank allows uninterrupted cleaning as well as the ability to use the VapoHydro function which combines powerful steam and a blast of hot water to tackle even the toughest dirt. The new EasyFix floor tool system ensures convenient hands-free cloth removal. Adds hot water to steam. Dirt is removed more easily and simply washed away. For even better cleaning results. Easy to switch on and off.